The holiday season is here, and for weeks retailers have been bombarding us with ads hyping sale selections at anywhere from 20 to 50% off. But in these austere times, smart shoppers are looking for better bargains, so the Baltimore Post-Examiner would like to offer its own choice selections of festive yuletide shows where women’s and men’s clothing may be found at 98% off. Calendar Girls will feature an entire year’s worth of holiday-themed acts with nods to Christmas, Halloween, Valentine’s Day, Baseball season, Back to School and more. Performers include Baltimore favorites Tapitha Kix, Chérie Nuit, Sunny Sighed and Bal’d Lightning, together with D.C.’s Glam Gamz, Dainty Dandridge, Mab Just Mab and Aurora Wells. MC Hot Todd Lincoln turns the spiral bound pages, while Stage Kitten Beaujolais Nouveau tends to the fallen leaves. Please note that the troop will be raffling off a pinup calendar of all of the featured performers. Doors are at 8:00. Show is at 9:00. This (like all burlesque shows) is an 18 and over event. Tickets are $12 in advance or $15 at the door. More info may be found by visiting the State Theater online. For decades, one of America’s most heartwarming traditions has been the annual airing of A Charlie Brown Christmas; particularly the part where Linus recites the Christmas Story from the Gospel of Luke. Is America ready to hear that passage sans the ever-present blue comfort blanket? Naked Girls Reading is a performance of Burlesque ladies who – as the title clearly states – enjoy reading with little besides their book covers on. The brainchild of Michelle L’amour – Miss Exotic World Queen – Naked Girls Reading’s are sweeping the country; kindling a hotter interest in scintillating books than a fascist bonfire. If you’re ready for a truly unique evening of stories about Scrooge, snowflakes, and a magic silk cap, join Cherokee Rose, Cherie Sweetbottom, Gigi Holliday and special guest, Alice Darling for this must see literary event. Rumor has it that Cherie Swetbottom will be reading the Christmas Story from the King James Bible. Hopefully, it won’t be the 1632 edition which urged the faithful to commit adultery. Showtime at the DC Arts Center is 10:00 p.m. Tickets may be purchased at the door or found online. For more information on this monthly happening, check out the Naked Girls Reading website or simply Like the group on Facebook. If you’ve been really good this year, one present just won’t do. That’s where Burlesque superstar Angie Pontani comes to Santa’s aid. Pontani will be bringing her popular New York road show, “Bulesque-A-Pades” to the area not once but twice this holiday season; first, on Thursday Dec. 19 at the Rams Head on Stage in Annapolis, and again on Monday December 30 at The Birchmere in Alexandria, Virgina. An all new seasonal stage show, lightly inspired by Dickens’ “A Christmas Carol”, this winter Burlesque-A-Pades will even have Tiny Tim dancing in the aisles. Joining Angie Pontani will be the ghost of many balloons passed, Albert Cadabra; The Maine Attraction, Helen Pontani, Tansy, The Snowflake dancers and special guest Mourna Handful from Black Tassel Boolesque. Tickets for both the Rams Head on Stage and the Birchmere shows may be found online. Not sure what to get that special someone to offset that lump of coal you purchased as a “joke”? How about tickets to see, “Stocking Stuffers! 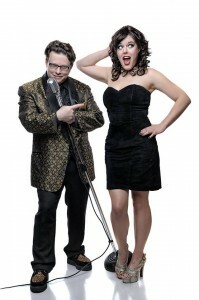 A Burlesque and Variety show!” at the Bier Barron in DC? With Baltimore’s Sicilian Queen Maria Bella, the balloon popping Chérie Nuit, Magician Karen Beriss from Clown Cabaret, Hula-hoop and fire artist Spinnabel Lee, and the delightful Dainty Dandridge performing, we should all be so good. Tickets to this December 20 show are only $10 in advance ($12 at the door). More information may be found on Facebook or by visiting the Bier Baron online. Burl-eoke is a game show which pairs burlesque talent with your average karaoke bar goer to tackle wacky challenges in a quest for amazing prizes. It’s a contest, yes, but mostly Burl-eoke is about being goofy and having a good time. But where does Santa come in? The producers note that winter can be an especially harsh time for the less fortunate, so on Dec. 27, the cast will be collecting sweaters at the door to be donated to the charitable mission, Paul’s Place. Participants and audience members alike can do the right thing this holiday season while enjoying the talents of Indiana’s Jewels, Patsi Cake, Lori LadyRockwell Dodson and Kat Kannons. Ashley Byrd-San stunt kittens this show, with a special performance by Video Victim. Also, come prepared for a Holiday Lip Sync competition and of course, the Ugly Sweater Competition!!! The Brass Monkey Saloon is located at 1601 Eastern Ave. in Baltimore. Doors open at 8:30 p.m. Tickets are $10 ($7 with a sweater donation.) More information may be found on the Facebook events page. 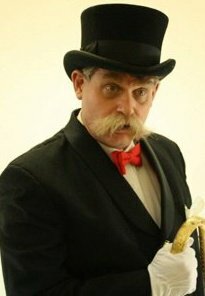 Burlesque’s favorite butler – ‘Stache – invites all to Chief Ike’s Mambo Room in DC for one last chance to party hardy before the New Year. 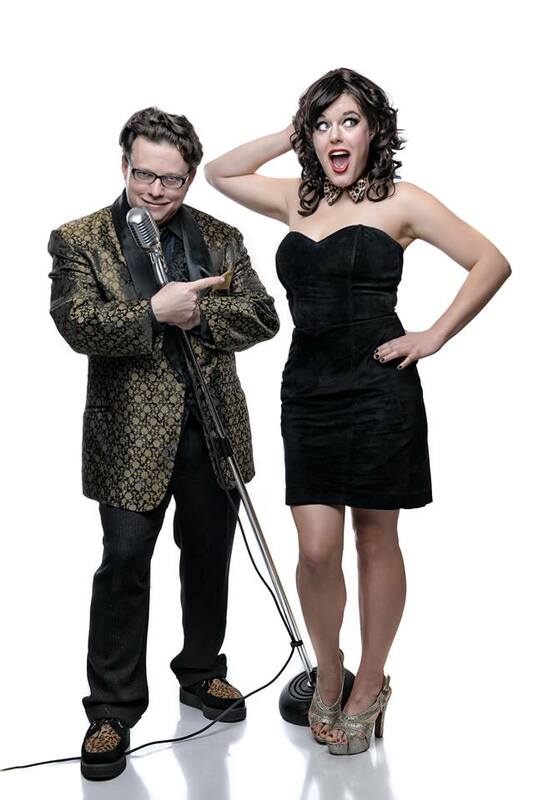 “The Last Blast of 2013” combines Rock and Roll and Burlesque! Alternate metal band Above The Silence will mix with the burlesque interpretations of Mindi Mimosa, Doctor Ginger Snapz, Indiana’s Jewels, and Whiskey Joy. Of course, ‘Stache gets to play Mr. French in this ribald Family Affair. Power music, beauty and glamour, an old man farting around on the stage! Is there a better way to celebrate the close of 2013? The Last Blast of 2013 goes up Saturday, December 28, 2013, 7:30pm – 10:30 p.m. Chief Ike’s Mambo Room at 1725 Columbia Rd NW, in Washington, D.C.
And finally, what would Christmas be like without a banana in your stocking? Perhaps the most popular holiday show in chilly Charm City, this year’s edition will miss Trixie’s jungle love, the Evil Hate Monkey, who is currently appearing in Hamburg, Germany in a sequined Australian circus show. Little will uphold the tradition with the help of New York’s foremost emcee, the hardest working middle-aged man in showbiz, Murray Hill. A new staging design should help Trixie and her partner, the 6’6″ Mr. Gorgeous fit their highflying acrobatics into the theater. Special guest stars include the wild New Orleans diva Perle Noire and the 1920’s tap dancing sensation Gin Minsky. Live music will be provided by the French Horn trio, Tres Horney. Trixie and Monkey’s Holiday Spectac-u-thon runs for five shows, Thursday – Saturday, Dec. 19-21. Curtain is at 8:00 p.m. on Thursday; 7:00 and 10:00 p.m. on Friday and Saturday. Tickets are $25 ($20 for members) and may be found online at the Creative Alliance website. The Creative Alliance is located at 3134 Eastern Ave, in beautiful Baltimore, MD, hon! If there was ever a time to throw another log on the fire, it’s this December. But who needs a Snuggie when you can warm to the likes of Trixie Little, Tapitha Kix and Chérie Nuit? Just tell Santa you’ve been really good and would like a date with Angie Pontani. And don’t forget Cherie Sweetbottom whenever you hear those church bells ring. ← Julia Louis-Dreyfus get a life: Columbia is fandabidozi (awesome)….